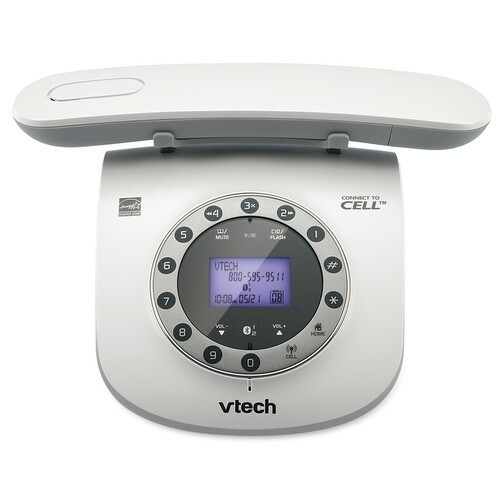 I recently had the pleasure of testing out and reviewing new VTech Retro Phone with Connect to Cell.Vtech was nice enough to send over this phone free of charge in exchange for my honestreview. 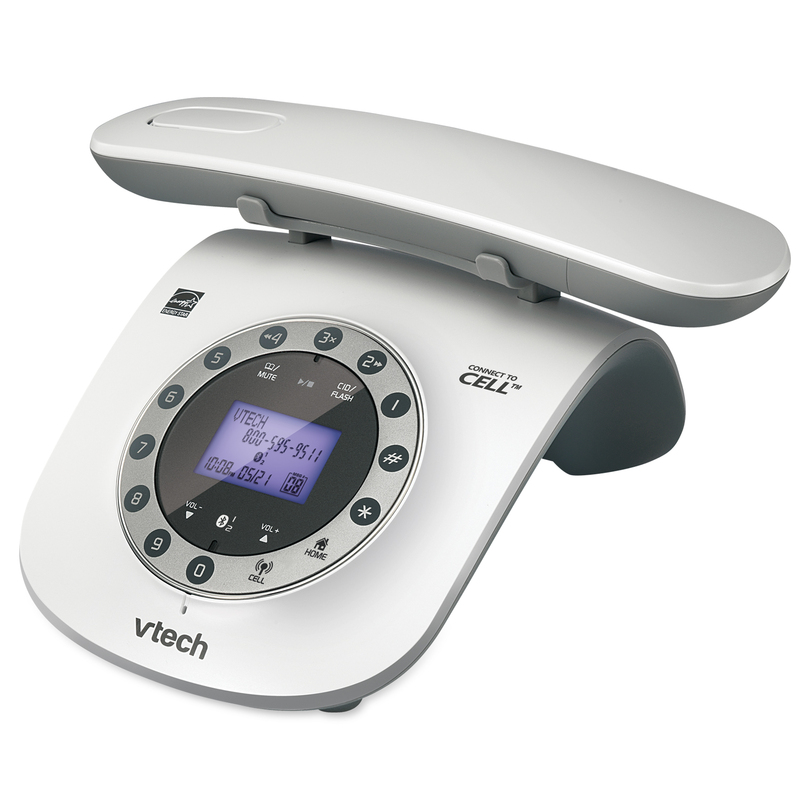 I was instantly impressed with the design and feel of the Vtech Retro phone, and how perfect for my home office. The design looks like the classic corded 1960s retro telephones. It also has a cute rotary-inspired keypad and dials with the push-button keypad, just like a classic rotary telephone. This phone is also jammed packed with great features such as: Make and receive landline and cellular calls, Store 200 directory entries from up to 2 different cell phones so there is no need to input names and numbers into your cordless phone system. , Face-down charging, Caller ID/Call Waiting that stores 50 calls and more! I love the connect to BLUETOOTH feature allowing cellular phones to make and receive calls with the ease and comfort of a home phone system. Now I can avoid the mad dash I really do make just to catch the call on my cell before it goes to voicemail. The cordless handset rests face down on the charger to maintain its classic style. Handset and base speakerphones, along with backlit keypad and display. DECT 6.0 Digital technology,and up to 14 minutes of recording time. So many more awesome features. If your into the retro look or just want something unique this phone is for you. If you like the look of this Vtech retro phone you can also get their other version which comes in several different colors. However these one don’t have connect to cell, but they are just like this one. Shop Vtech this holiday season at www.vtechphones.com. Originally published on 2013-11-27 by Angela Harris at Angie's Angel Help Network .